The annual Pebble Beach Concours d’Elegance, the signature event of California’s sprawling Monterey Car Week, has traditionally been the place where the finest vintage cars are paraded around alongside their wealthy owners. But Pebble Beach is also turning into a show for new cars; it’s typical for at least one automaker to unveil a concept car at Pebble each year. This year, it’s Infiniti. The Nissan luxury brand is being tight-lipped about what exactly it will unveil, though. 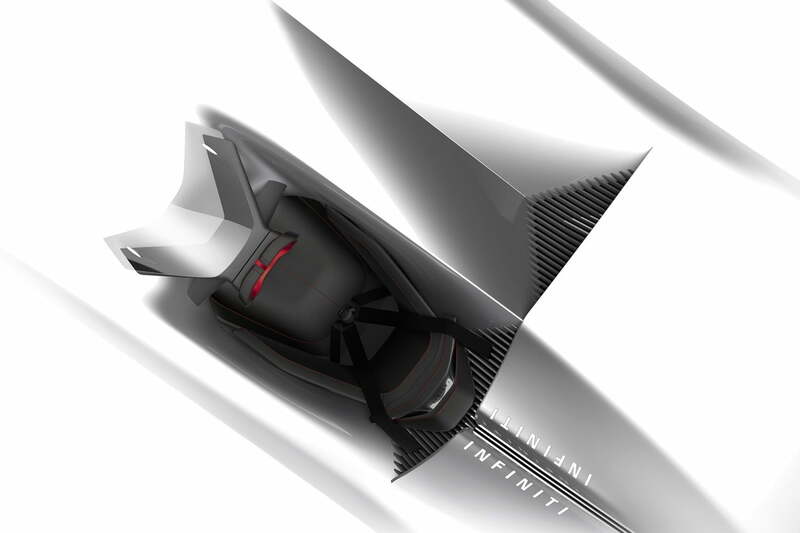 Other than a vague teaser image, the only details Infiniti would provide were that the design was a collaboration between teams in Japan, the United States, and the United Kingdom, and that the concept will have an electrified powertrain, meaning hybrid or all-electric. In 2017, Infiniti created waves at Pebble Beach when it unveiled the Project 9, which had a design inspired by classic race cars from the 1940s and 1950s, but featured a modern electric powertrain based on Nissan Leaf components. It was a bit odd since Infiniti’s history doesn’t stretch as far back as the era the Project 9 referenced (Infiniti was launched in 1989). Still, the Project 9 proved popular, and will be a tough act to follow. Infiniti’s focus on electrified concept cars will soon translate to its production cars. The automaker plans to offer a hybrid or all-electric powertrain in every model by 2021, and will launch its first all-electric production car that same year. Infiniti expects hybrids and electric cars to comprise more than half its global sales by 2025. Infiniti parent Nissan plans to sell 1 million electric cars and hybrids by 2022, and many other automakers have announced ambitious electrification plans of their own. It’s a response to stricter emissions standards. While the current presidential administration has cast the future of U.S. emissions standards into doubt, China and the European Union will likely move ahead with tougher rules, possibly including outright bans on sales of new internal-combustion cars in some European countries.